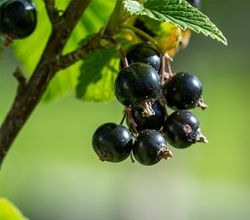 The black currant (ribes nigrum) is a shrub of about 1-1.5 m high, characterized by very aromatic leaves and black fruits with a slightly sour taste, which ripen in the months of July-August, about 3 months after flowering. The fruits are very rich in vitamin C (about 200 mg per 100g). In this case we deepen the therapeutic properties of the leaves of Blackcurrant , which can be used both fresh and dried, for the preparation of an excellent diuretic and anti-rheumatic herbal tea, as well as, I will explain, also to make pediluvi. In blackcurrant leaves we find: flavonoids, anthocyanins, vitamin C, vitamin B1, B2, mineral salts (including potassium, phosphorus, magnesium, zinc and copper), phenolic acids, essential oil, tannins, enzymes and some amino acids. The blackcurrant leaves are first and foremost a wonderful diuretic . The herbal tea prepared with the leaves is particularly useful for eliminating urea and uric acids and therefore to alleviate the pains due to rheumatism, gout and arthritis. I have healed many suffering from chronic rheumatism by resorting only to baths and blackcurrant infusions. The same applications are indicated to return the use of the kidneys and the bladder to the unhappy people who suffer from stones or urine retention. " Always M. Mességue advised to drink the infusion also as a digestive , to appease the abdominal pain and to block diarrhea (it has an excellent astringent action). Recommend also advice with blackcurrant tea, in cases of inflammation of the oral cavity , due for example to angina, gingivitis, sore throat, or tonsillitis, etc. The dott. Jean Valnet, a French doctor and author of several works on the use of medicinal plants, also recommends the use of herbal tea and extracts based on blackcurrant leaves for the treatment of gout, rheumatism and arthritis. It also recommends taking it to facilitate the elimination of kidney stones and renella , as well as for the treatment of other problems, such as headaches , pertension , stomach pains , diarrhea and for the treatment of certain disorders of liver such as hepatitis and jaundice. To prepare blackcurrant tea, just leave for 10 minutes a teaspoon of dried blackcurrant leaves (double if the leaves are fresh) in a cup of warm water. Then it is filtered and drinks. The herbal tea has a pleasant aromatic taste. Recommended from 2 to 4 cups a day . 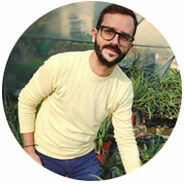 As Maurice Mességue explains, herbal teas are not the only way to take the active ingredients contained in plants. Through complete baths, or foot baths, the active ingredients of plants penetrate rapidly through the epidermis , in some cases reach the diseased organs more rapidly than the preparations taken internally ". In the case of blackcurrant, it is advisable to drink tea and at the same time to make two foot baths a day which will be very useful for all those people suffering from gout, arthritis and rheumatic pains . Re-heat the 3 liters of water (without letting them boil) and when the water is hot, put it in a crock bowl (it is not recommended to use unglazed metal or plastic basins). Leave the water to cool down until the heat is bearable, without adding more water. Finally immerse your feet in the basin and keep them soaking for 8 minutes. M. Mességue recommends repeating the foot bath every day, twice a day. The best time to practice the footbath is the morning just raised, fasting. This preparation with which you have made the foot bath is reusable for 8 days. Whenever you want to reuse it, remember to heat it up. If you have a plant at home, you can use fresh leaves to get rid of itching due to mosquito bites or other insects. Just peel off a leaf and rub it on the sore area. 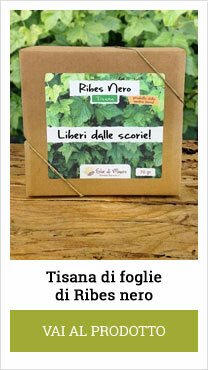 The farm Erbe di Mauro, among the many medicinal plants, also grows Black Currant and sells dried leaves in herbal tea.